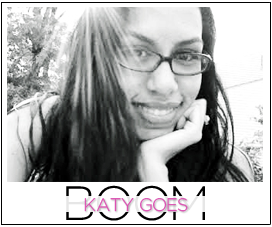 Katy Goes Boom: Vlog Like A Boss: Who is Katy???? 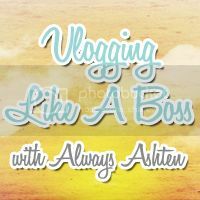 Decided to put together a little Vloggity to link up with Ashten today! We will call the ramblings below...a get to know Whitney vlog of sorts. If you have any questions you'd like answered, or things you'd like me to vlog about in the future let me know! Oh man, I used to love watching the Animaniacs! 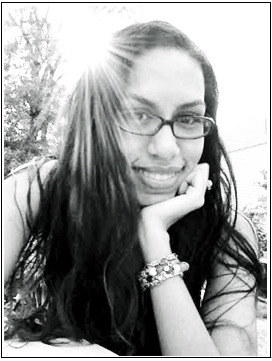 Really enjoyed getting to know more about you, your daughter and your blog Whitney! Annnnd now I'm singing the Animaniacs jingle in my head... Thank you :) I'm not brave enough to do a vlog yet so major kudos to you! Haha, you're too cute! :) And your voice sounds just like my friend Kristy's. Weird how people can have like, "voice twins". While you were trying to think of it, I was yelling "Alter ego!!" at the screen! hahaha. Vlogging scares me, so mad props to you for doin it... like a boss! Man, in a million years, I would have never thought of the Anamaniacs reference. LOVE IT, and now, I can't get the theme out of my head. My fave were Pinky & The Brain.. maybe cause I'm a huge nerd. Brain- "Are you pondering what I'm pondering?" Pinky- "Oh Brain, if they called them sad meals, no one would buy them!" Nails are gorgeous and vlogging terrifies me - go you! I love your ramble and I am so excited to follow you and bond over our love for the The Buckeyes! I am watching the game right now. Well, it's half time so I'm getting my vlog watch on but yeah! AND YOUR HAIR IS BEAUTIFUL. This is the first Vlog I have ever seen, and I love it! As much as you feel like you know someone from her writing and photos, seeing them speak in front of you is a whole new kind of knowing. Also, there is no better comfort to me than wearing my mom's pajamas. I didn't realize that's where your blog name came from. Awesome, but not as awesome as your mom's cat pajamas. Ha!